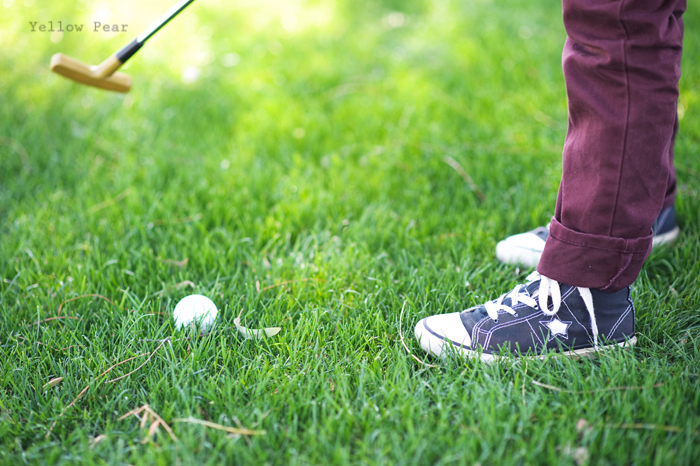 Sometime back in March, when the weather was superb and the birds chirped and a light breeze blew through my hair...I took Q out for a golf photo session for Fly Little Guy. We went to an actual golf course and I thought Q would die of excitement. He LOVES golfing, although we've never taken him and my husband isn't really into it, so we're really not sure where this love came from. 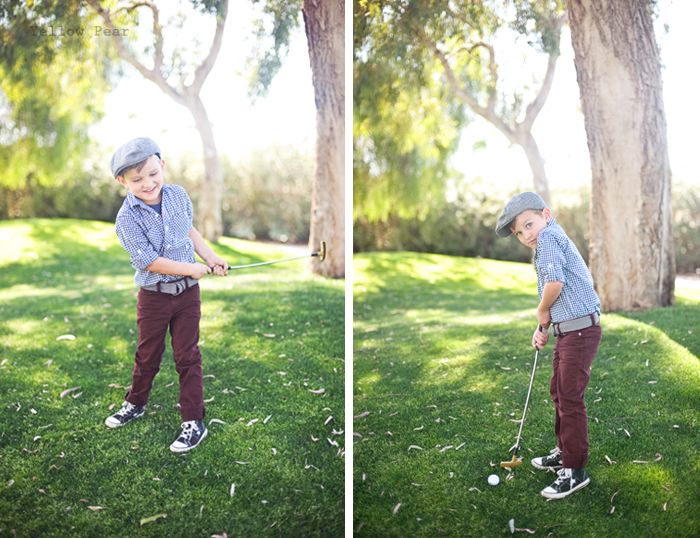 Anyway, I dressed him up in some golfing-type duds and we grabbed a club and a ball and played golf on a little corner of the golf course where we were sure to be out of the way. 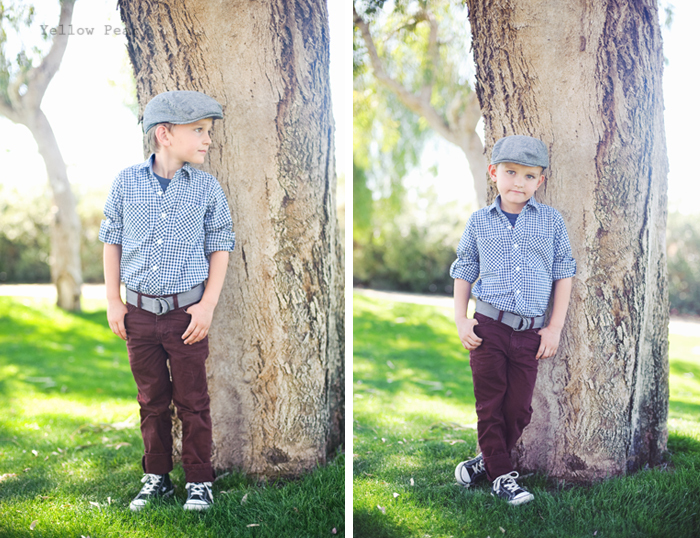 I'm not sure he had his hand placement right (and truly I am a poor teacher because I've only ever been mini-golfing a handful of times), but he got a kick out of the adventure and I got some fun pictures of my little man. Although the skinny jeans made him look exceptionally tall. 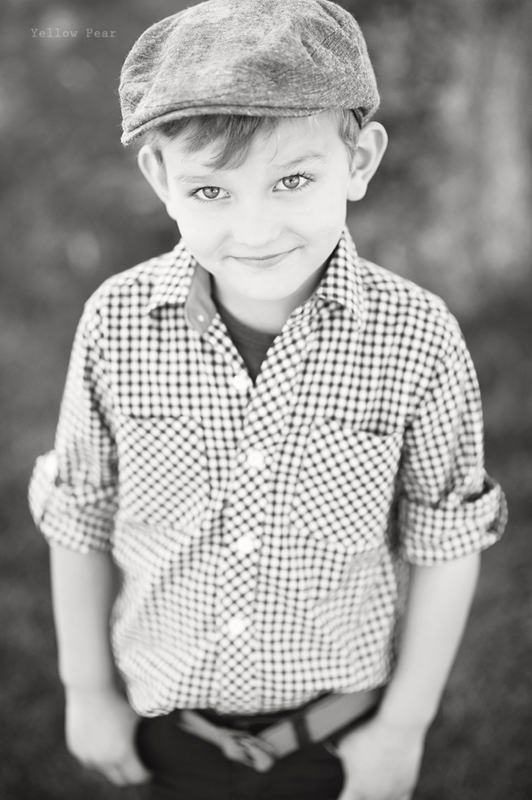 Q is getting ready to start Kindergarten in the next couple of weeks and is absolutely beside himself with anticipation. I am filled with a lot of hope that he does well and listens and doesn't drive the teacher nuts! :) He is quite the ball of energy as I am sure you've heard me mention a time or two. But hopefully he will be so busy learning new things and filling his little busy mind, that he will be fully occupied. I remember feeling the same way about Dennis and he did swell, so that has eased my mind a bit. I sure will miss him though. Luckily I have a new wee one on the way to occupy my time, eh? !